This boater's dream home is ideally located on the first canal in from the Gulf, just off the North Channel. You are literally around the corner from the open Gulf of Mexico and all it has to offer; great fishing, pristine sugar sand islands just offshore, crystal clear waters; welcome to paradise! 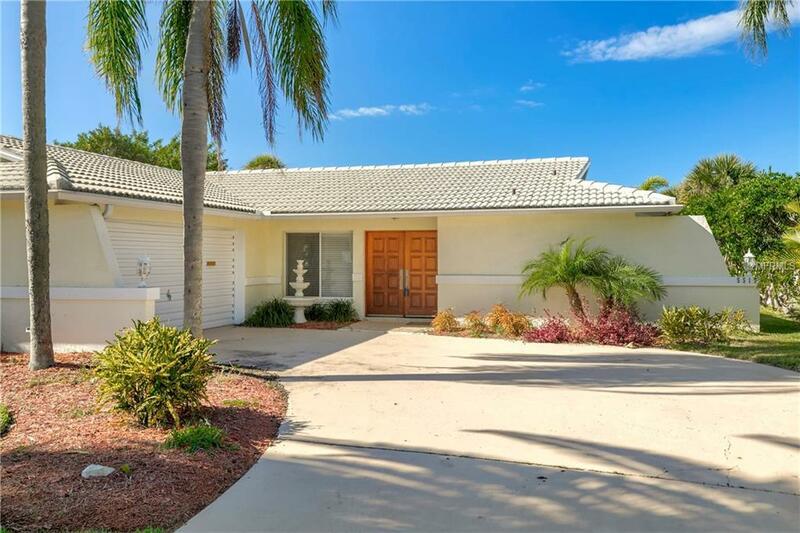 This 2000+ sq.ft., 3 bed,2 bath, 2 car garage home features an expansive pool, 75' of seawall, large floating dock & davits and offers enormous upside potential. Special features include the huge California-style waterfront bonus room with gorgeous travertine tiles and a wall of windows just off the pool & canal, where you'll spend endless hours soaking up the sunlight and watching the fish splash & dolphins swim past your very own property. Kitchen is updated with wood cabinets, stainless steel appliances, granite counters, and tile backsplash. This home offers a triple split bedroom, plan including a master bedroom with ensuite bath and 2 guest bedrooms, one featuring an armoire/closet and water view via the french doors leading to the outside entertaining area. Outside you will find the large screened in pool, with plenty of room for entertaining, along with an outdoor patio on the water. Just minutes by boat to the Gulf of Mexico. Membership to the exclusive Gulf Harbors Beach Club is available for an amazingly low price of just $144 per year. This home has great bones! Here's your opportunity to live the dream! Additional Lease Restrictions Buyer To Confirm. Amenities Additional Fees Buyer To Confirm. Optional $156 Beach Club Fee.